Pack of 50 Kanban sleeves. Kanban Sleeves has been added to your cart. Go to shopping cart. Durable Clear PVC Kanban Sleeves. Keep your kanban cards dry and protected in these sleeves. 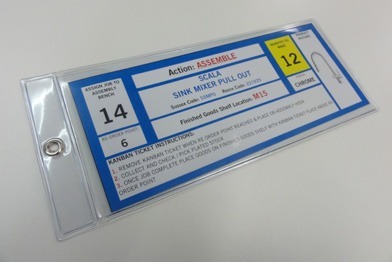 Sleeves are designed to accommodate a printed kanban card approximately 180mm x 75 mm.